Nesting tables are an ideal solution for displaying seasonal merchandise, new products and promotional displays. 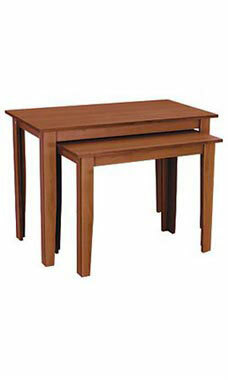 The nesting tables are made of melamine over particle board. The tables feature a finish that is resistant to scuffs, abrasion and fracturing. The tables are sold in sets of two.